Star Secure Programmer Expert – Java is a detailed course that helps the learner to identify and address the various bugs, flaws and defects in the logic of a program. These defects leave the software vulnerable to various kinds of threats. Develop a secure java application, which tan counter any java application threats. 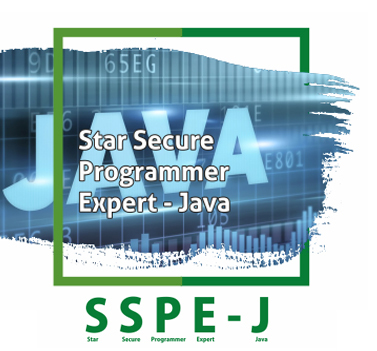 Introduction to Star Secure Programmer Expert – Java. Explore Security Principles Associated With Java. Explore Java Coding Practices for Secure Code. Exploring the Secure Software Development lifecycle. Implementing Best Practices in context to data input validation. Implementing Best Practices to handle Java Exceptions and Errors. Implementing Java Security Model and Controlling the Authentication and Authorization behavior. Securing Java Concurrency and Sessions. Best Practices to Handle Java threads. Securing your application with Cryptography Techniques. Securing Application from Vulnerabilities and attacks.